Break downs, flat tires, or other mechanical failures from your car can be headache for anyone trying to get from A to B. Luckily for New Roads drivers, Guy’s Towing Service, a trusted tow truck service, is just a phone call away. 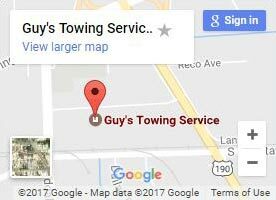 While other tow truck companies might have a reputation for ripping off roadside drivers, Guy’s Towing Service operates at a higher standard than any other towing company. Accidents, breakdowns, or other roadside emergencies can come out of the blue. That’s why our fleet of 24-hour tow trucks are available every day. And you won’t deal with stuffy employees that act like they don’t want to be there. Our valuable team always treats you with courtesy and respect. This includes giving you a realistic response time based on where are trucks are currently located, so you aren’t left wondering where we are. Don’t settle for a tow truck in New Roads that gives you less for more; choose us for better service for less! At Guy’s Towing Service, our goal is get drivers home safely. Our helpful towing service goes the extra mile to to help the community. 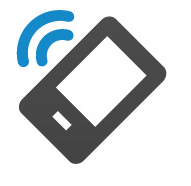 Want to know what people are saying about Guy’s Towing Service? Check out our reviews: over 4.5 stars on Google and Facebook, customers are clearly pleased by our fast service and low towing fees! If you have a roadside emergency, breakdown, or other type of car trouble, you won’t have to wait long for our guys to help you out of a jam. 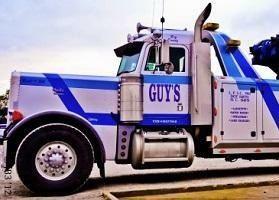 At Guy’s Towing Service, we’re there to help, 24 hours a day, seven days a week. Our medium duty towing service offers the level and quality of 24-hour services as our light and heavy duty towing service. As the largest towing company in Louisiana, we can handle anything the Pelican State throws at us. And for the biggest jobs, we bring in the biggest trucks around. Our heavy duty tow trucks can recover any size vehicle or trailer combo from from mud, ditches, embankments, and water. Plus, our crane can lift at a 60-ton capacity.